Incorporate one or more of the next places in your vacations. 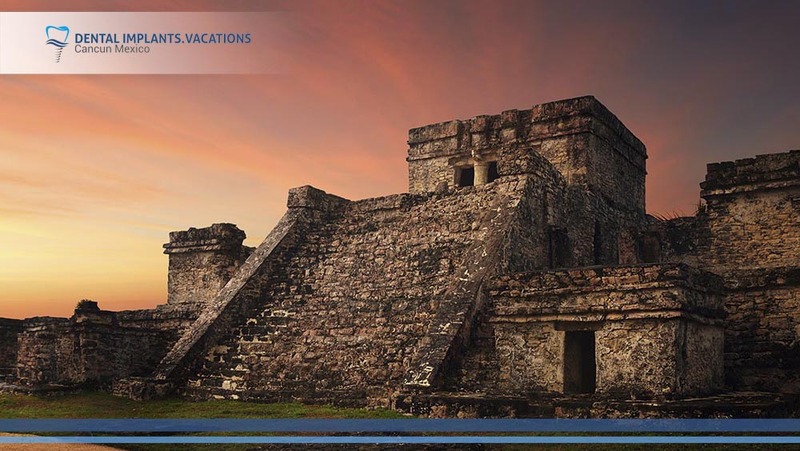 They are the most important archaeological sites, where you will find intriguing monuments and pyramids while learning more about Mayan culture. city you can find the pyramid of Kukulcan. This pyramid is very famous because during the spring equinox you can see the shadow of the feathered serpent (Quetzalcoatl) descending the stairs. The location of the pyramid is aligned between four sinkholes or cenotes: The Sacred Cenote, Xtoloc, Kanjuyum and Holtún. In the first, Mayans sacrificed objects and humans as a form of worship to the Maya rain god Chaac. It was one of the few enclosed cities built by the Mayas. With wall on three sides and the Caribbean Sea on the other over a cliff, Tulum was built to be a fortress. 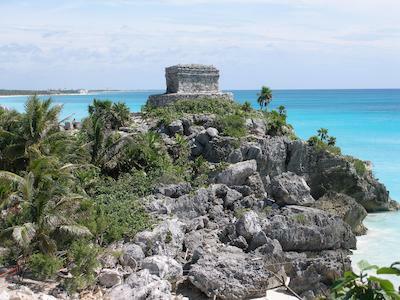 Each Mayan city had a specific purpose, and Tulum was a seaport, trading mainly in turquoise and jade. Most prominent among the remaining structures is the Castillo. Like the questions which surround the decline of the Mayan world, there are several theories as to why a wall surrounds Tulum. Some suggests only priests and nobility were housed within the walls, while peasants were kept on the outside. Coba is located on two lagoons; the Coba Lagoon which can be seen as you drive up to the ruins entrance and Macamxoc Lagoon which can be viewed once you enter the ruin site. 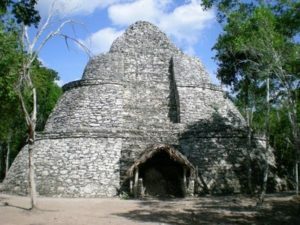 Coba traded extensively with other Mayan communities as far away as Honduras and as close as Tulum. 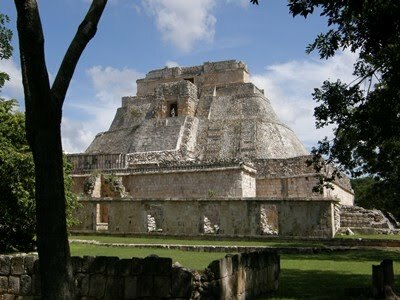 The Nohoch Mul Pyramid is one of the most famous archaeological ruins. 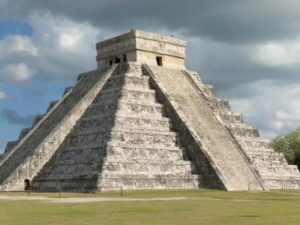 It is the tallest Mayan pyramid on the Yucatan Peninsula and the second tallest Mayan pyramid in the world. The importance of this archaeological site is the enormous amount of work invested in the construction of its structures. Buildings are oriented according to astronomical phenomena, such as the ascension and descent of Venus. Secondly, Mayans adapt to the topography of the land, consisting of a series of hills. The most important architecture is The Governor’s palace. It consists of three platforms; one of them stands out due to its large dimensions. The frieze, made with stone mosaic, is one of the most beautiful and complex examples of Mayan geometric art. You can opt for a guided tour, take public transport or even rent a car. To visit Mayan ruins, we recommend going early in the morning to beat the heat. Wear comfortable clothes and shoes and layer on the sun block. Enjoy beautiful and interesting places while getting your dreamed smile in Cancun. Contact us right now and we will provide you an evaluation free of charge.